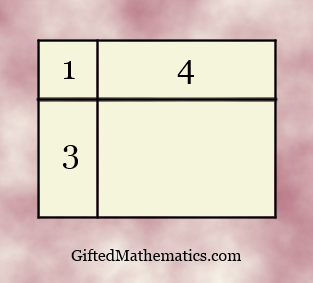 A rectangle is divided into four smaller rectangles using two perpendicular lines, as shown in the diagram. The number inside each small rectangle indicates the length of its perimeter. The diagram is not drawn to scale. What value should go into the empty rectangle?